Have you ever wished that you could see how a product would look in your own home before you bought it? You may be as surprised as we were to discover that it is now possible. If you have an iPhone it has an amazing new feature built-in called Augmented Reality. Augmented Reality uses the camera and display on your phone to show how products look in your own home. 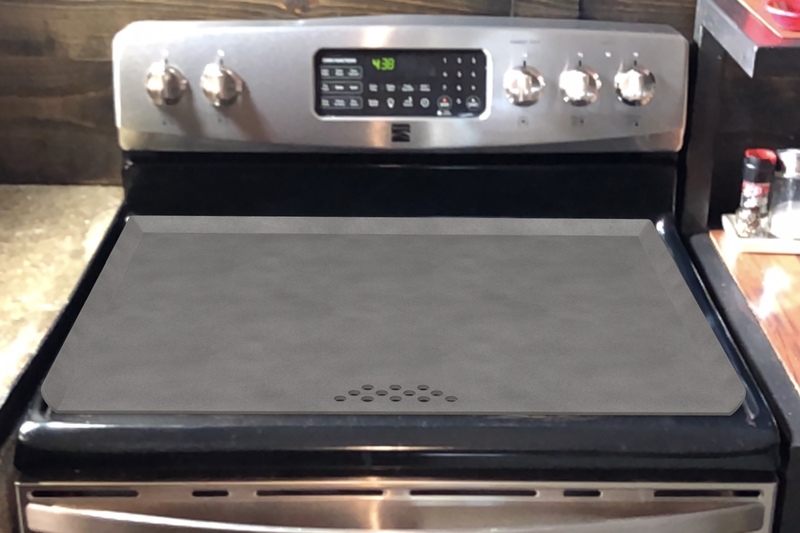 Using this amazing technology, you can see the Steelmade Flat Top sitting on your stove as if it were really there! This is very useful in visualizing how large the Flat Top is and also for checking the fit on your specific stove. Check out the instructions below to use this new feature on your iPhone now. Go to the Steelmade Flat Top Product page by clicking here. You'll see an icon of a floating cube hovering over the main image at the top of the page. Click on that. The next screen presents you with a 3D model of the Flat Top that you can move around and zoom in on. 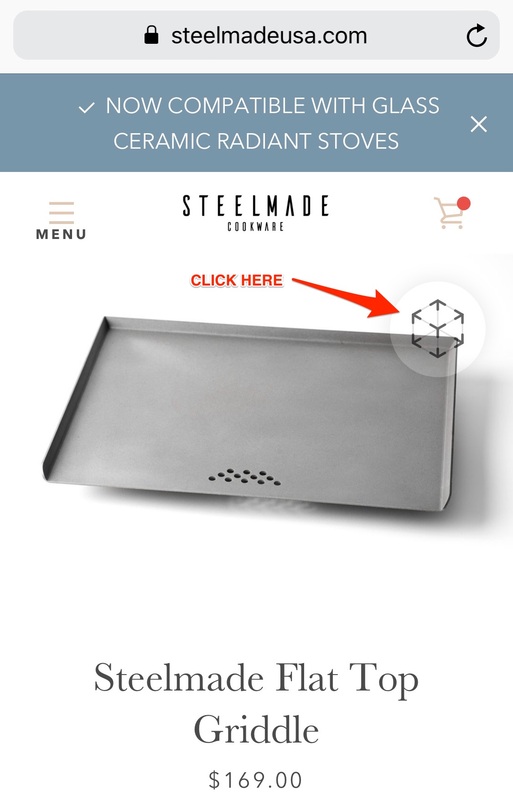 The second button at the top allows you to switch to Augmented Reality so that you can see the 3D model projected on your stove. Holding your phone horizontally to make viewing the entire stove easier. Once the iPhone has magically placed the Flat Top on your stove, you can walk around it, move in close, and see it as if it were really there! 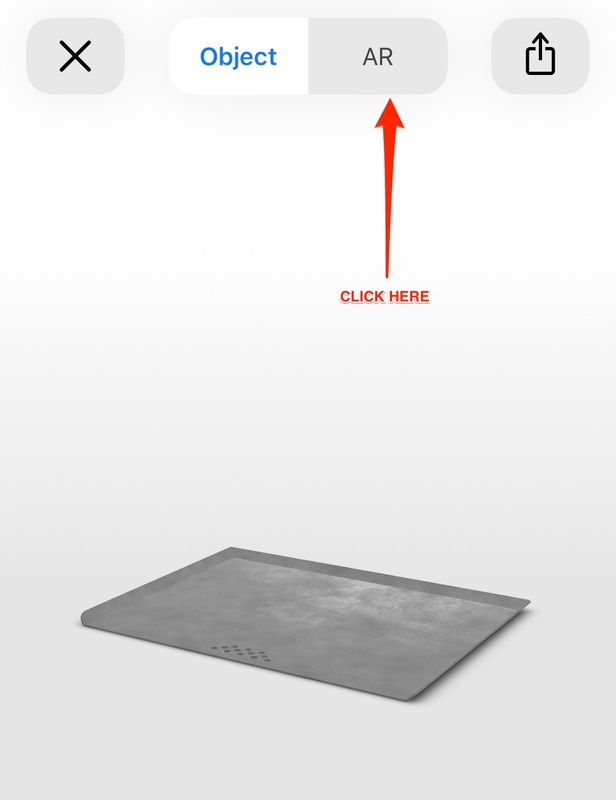 You can even rotate the Flat Top or reposition it on your stove in realtime.